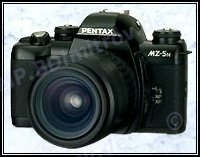 The cameras MZ-3, MZ-5 / ZX-5, and MZ-5n / ZX-5n have brought a lot of acclaim to Pentax. 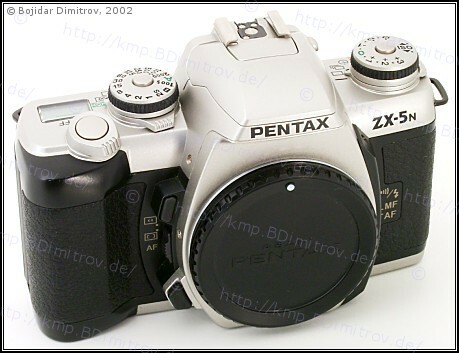 Like the manual focus M- and A-series bodies, they attract with their small size, light weight, and beautiful design. Except for metal construction and mechanical operation, these bodies have all features of the top M- and A-series cameras and more: built-in flash, built-in winder, spot and multi-pattern metering, etc.. 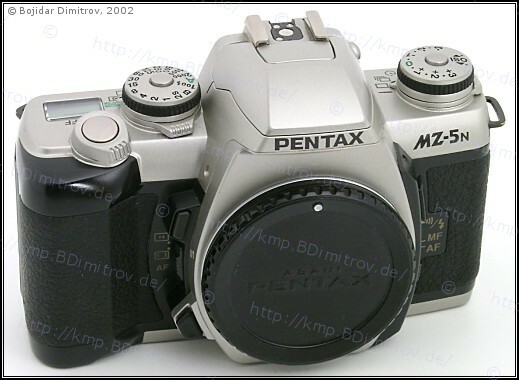 The MZ-3 and MZ-5n / ZX-5n also offer DOF-preview and exposure lock. The controls are intuitive and easy to learn, DOF-preview works in all operating modes, and the responsive, 3-sensor AF system is a welcome improvement over the single-sensor AF system of the older Z-/PZ-series cameras. There are a small number of things that could be have been improved, however. The viewfinder magnification could have been larger, and the viewfinder’s LCD display is difficult to see in bright light. Of the three AF sensors, none is sensitive to both horizontal AND vertical patterns.